Fashion moves at such a lightning pace these days, and so as we bid adieu to 2013, Vogue Japan unveils its February 2013 issue with a dynamic editorial featuring the season's breakout faces. 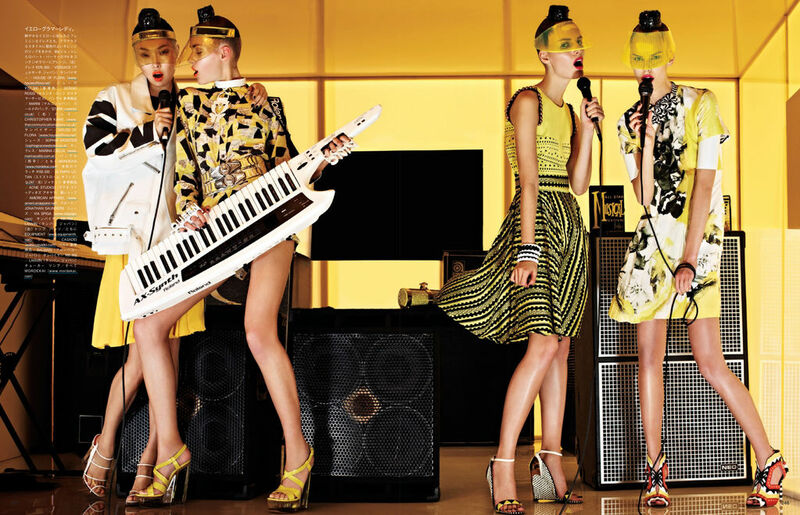 Relative newcomers Ava Smith, Tilda Lindstam, Kel Markey, Sung Hee, Stina Rapp Wastenson, Giedre Kiaulenaite, Esther Heesch, and Nathalia Oliveira bust a move for Sharif Hamza's lens. The models take on varying personae as they traverse the Top of the Pops covering genres including punk rock, hip hop, new wave and 60's mod squad. 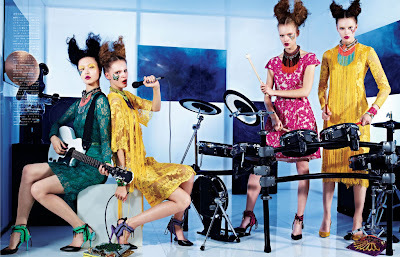 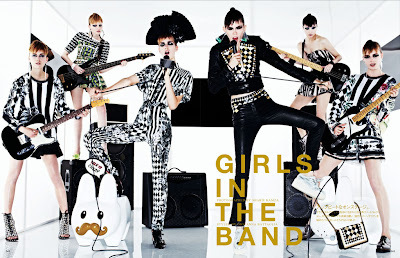 This editorial calls to mind the energetic, fun and creative spirit of the early 80's pseudo documentary film about modelling entitled "Portfolio", in which photographer Steven Meisel captures models Paulina Porizkova, Kelly Emberg, Carol Alt and Julie Wolfe rocking it out with electric guitars and teased out hair to the Cocteau Twins.